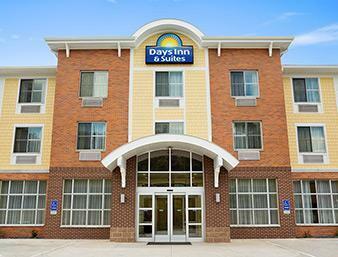 Choose the Days Inn and Suites Caldwell in the Utica Shale region of Ohio. This lodging offers complimentary breakfast with hot items, complimentary wireless Internet access and complimentary parking for cars and large vehicles. Conveniently located near Interstate 77, within one mile of restaurants and stores, this facility accepts pets but does not allow smoking on the premises. Nearby, find pizza, sandwiches and other great fare, as well as a popular antiques gallery, glass museum and Wolf Run State Park, ideal for fishing, hunting, hiking, boating and swimming. Take advantage of modern services and amenities, including onsite fitness center, business center, and meeting room for training and presentations, accommodating 12 to 15 people. Spacious guest rooms and suites feature work desk, iron, ironing board, hair dryer, coffee maker, microwave, refrigerator, iPod docking station and flat screen HDTV. Sam Hogue crafts large glass marbles and will demonstrate his techniques to any visitors.